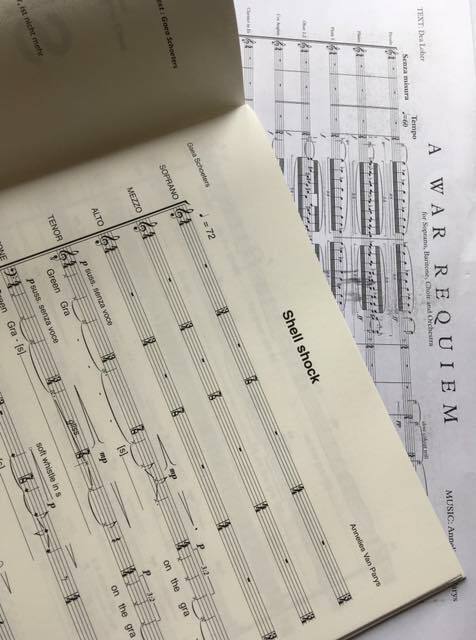 accentus returns to the great works of the a cappella repertory under the leadership of a recognised master of choral conducting: Marcus Creed. Figure humaine, written in 1943, was based on poems by Paul Éluard. A hymn to freedom, this cantata for mixed double choir is considered one of Poulenc’s masterpieces, and a milestone in the accentus story. Another major work in the choral repertory, Frank Martin’s Mass for Double Choir delivers a message of peace in which Gregorian inspiration and the influence of Bach combine in a dizzyingly rich language. This clarity is also a characteristic of the music of Annelies Van Parys who offers, here, a brand new work Shell Shock.